The modern logistics industry in Qingdao has developed quickly in recent years. The development environment has improved gradually. Services have improved significantly, and the economic and social benefits are constantly improving. Six major logistics parks including Qianwan International have been completed. 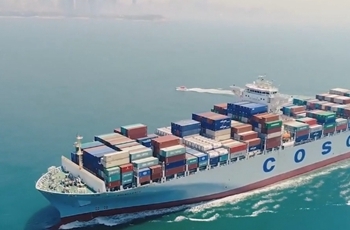 Four logistic centers, including the west coast export processing area, and six distribution centers, including Jiaozhou and Fu’an, were put into operation. More than 30 well-known logistics companies at home and abroad have settled in Qingdao. The city is recognized as a central city in the logistics area of the Shandong Peninsula and a national logistics hub city. 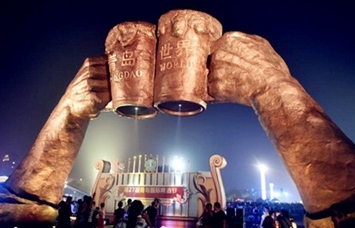 Qingdao will refine its logistics development layout for the future. It will focus on the development of three logistics systems, namely, harbors, airports and land logistics. It will also accelerate the construction of logistics facilities according to factors like transportation, market demand, industrial distribution, commodity flow, resources and environment. It will establish a batch of logistics parks and logistics centers that feature integrated layout, land conservation, integrated functionality and intensive operations. It will seek to promote the development of logistics and promote key logistics companies in the city to accelerate the grade and level of operation concepts, service quality and information technology. It will improve the company’s overall service skills as well. Existing companies involved in transportation, warehouse storage, joint transportation and express courier are encouraged to integrate functions, extend services and accelerate efforts to become a modern logistic company. Small and medium-sized logistics companies are encouraged to strengthen resource integration to meet the demands of diversified logistics. Logistics companies are encouraged to reorganize assets through equity participation, holdings, mergers, joint-ventures and cooperation to grow into companies with strong competitiveness in the international market. Qingdao shall also enhance the joint development of the industry and logistics sector with a focus on promoting logistics management and operational skill in shipbuilding, automobiles, machinery, steel and iron, petrochemicals, electronic appliances, high-tech devices, textiles and garments, commerce, trade and distribution, food and agricultural products. The city will organize and implement demonstration projects and key projects through joint development of the industry and logistics sector. It will also improve goods cooperation and joint development of industry logistics and the logistics sector through the resource combination and outsourcing of logistics. 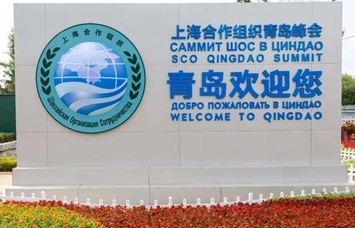 Qingdao also needs to promote the establishment of a public information platform for logistics, accelerate the establishment of information platform projects for logistics that are beneficial for the sharing of information resources in order to establish an electronic port and logistics park information system. The city will also start establishing a logistics public information platform throughout the whole city.